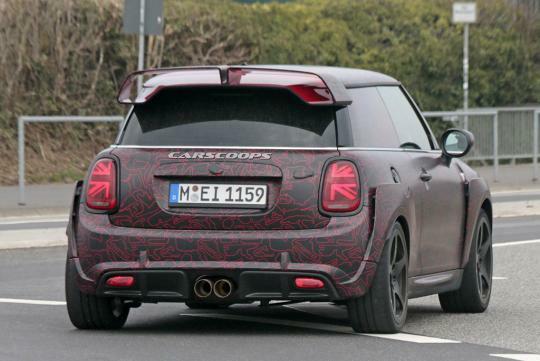 MINI's range-topping John Cooper Works GP has been spotted at the Nurburgring near production form. It is rumored to get 300bhp. The limited edition hot hatch will be the company's fastest and most powerful model till date, thanks to a turbocharged 2.0-litre four cylinder engine. As reported by Carscoops, production will be limited to just 3000 units. Likely to be the swansong for the current model generation, the car looks like it will feature a pretty wild body kit with plenty of aero. 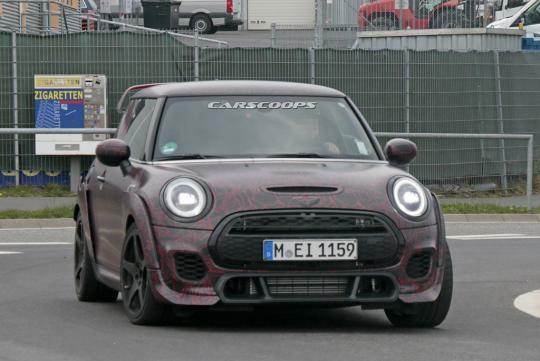 Other than the very aggressive fender flares and rear roof spoiler, it looks like the JCW GP will also get a new front bumper with a different grill and exhaust tips that are larger than standard. Elsewhere, the car might have also lost its rear seats to reduce weight while getting bigger brakes, stickier tyres and a retuned suspension. The car is expected to be revealed before the year ends.